Hookit Products is breaking the mold in Sheffield, England, by launching a new company-funded advocacy program that aims to maintain, protect and create local trails. 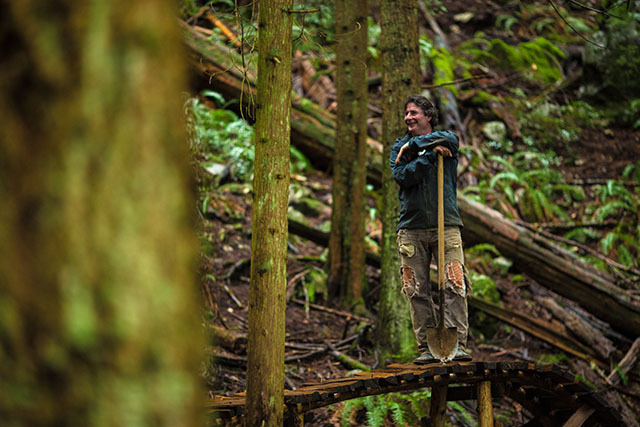 The idea for the program took shape after Joystick Components–a brand Hookit distributes–partnered with Todd 'Digger' Fiander, a trail builder on British Columbia's North Shore, instead of sponsoring another professional athlete. To Joystick, Fiander and other trail builders represent the essence of the sport. "He opened a lot of doors for a lot of riders through both his trails and films, but he often got overlooked when it came to support," said Chris Glew, Joystick's brand manager. Together, Joystick and Fiander created a bar and saddle called Digger by Joystick. A significant percentage of the products’ proceeds go to Fiander to help him continue to build and maintain his trails. As the first distributor of Joystick products in the U.K., Hookit liked the idea of helping out locally. The company decided to use 5 percent of sales on all Joystick products for its advocacy program. Eventually, Hookit hopes all the products and brands it distributes will contribute to the program, but for now, its own brand, 35 Bikes, is the only one in line. The aim of this program is to give back to the community. Hookit wants the money raised to go back into local trails, whether that means maintaining existing networks or helping to fund new projects. However, even with the popularity of mountain biking and all the trails in Sheffield, the community is having trouble with local land managers. "The recent work on Stanage (a recreational area in the Peak District, England) would be a fantastic example, the trail needed a little maintenance, which was a favorite amongst hikers and bikers," said Davi Birks director at Hookit Products. "Instead the local council spent a small fortune on digging up the whole trail, and replacing it with the equivalent of a gravel motorway, scarring the countryside and ruining it for most people." To help combat this, Hookit is partnering with several local groups to provide the financial support needed to save these trails. Hookit also encourages local groups to propose ideas for future funding. One of its larger partners is Ride Sheffield, an advocacy group that mainly concerns itself with preserving trails. This is only the start of Hookit's trail advocacy program, and there are big plans for the future. They are looking forward to supporting Sheffield's work on local trail networks including Park Wood Springs, Lady Canning and Greno Woods. Find more information on what Hookit and Ride Sheffield are doing here. Visit Hookit on Facebook and its website.